The Constructivist Art Movement (1917 – 1921) is very much a Russian movement which started in the Soviet Union with the Russian avant-garde. It was not strictly an art movement, rather a trend in the arts that was closely linked to industry and manufacturing, architecture and the applied arts. The influential ideas of Constructivism, however, spread much further than the borders of Russia, into major artistic centres such as Paris, London and even as far as the USA. One particular centre of the movement outside Russia was at the Bauhaus art and design school in Germany. Many of the most prominent artists of the Constructivist movement came from a very wide range of countries. There were the Russian artists who took Constructivism to the west, such as Naum Gabo, El Lissitzky and Antoine Pevsner, then Englishman Ben Nicholson, Germans Josef Albers and Hans Richter, Dutch Theo van Doesburg and Hungarian Laszlo Moholy-Nagy. Constructivist art was in part a progression from Russian Futurism, with stylistic signs of the earlier movement being evident in some of the angular industrial sculptures and reliefs of artists like Vladimir Tatlin and Naum Gabo. Vladimir Tatlin saw the work of Picasso and Braque in Paris in 1913 and this influenced his own constructions when he returned to Russia. These works marked the first beginnings of Constructivist art. 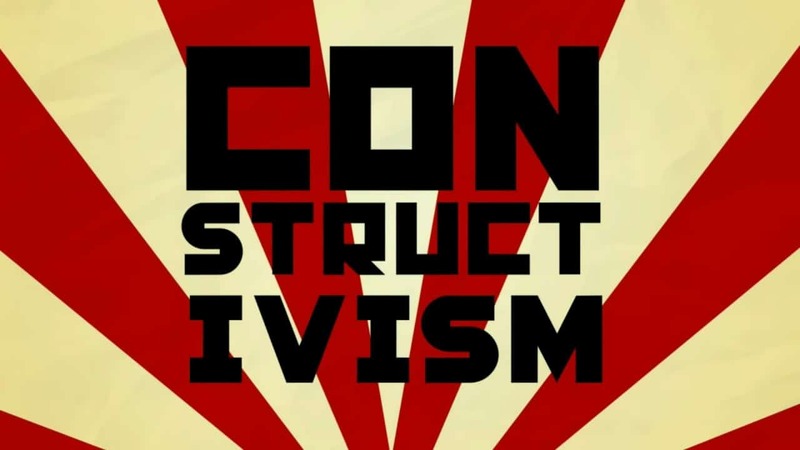 As with Futurism, one of the main characteristics of Constructivism was a total commitment to and acceptance of modernity. The art was typically totally abstract, with the emphasis on geometric shapes and experimentation. Constructivist art was optimistic, but would not tend to be emotional in any way and subjectivity and individuality were subsumed in favour of objective, universal forms. A new order in art was being sought, with new media being experimented with. One of the characteristics of Constructivist artworks is that they would be reductive in nature, simplifying everything to the most fundamental level. The fact that the Constructivist art movement emerged immediately after World War One is no coincidence. The movement wanted to sweep away all that had gone before, all that had led to the catastrophic war. The new art for the new order would have to lead to greater understanding, peace and unity, which would impact on the social and economic problems of the day. 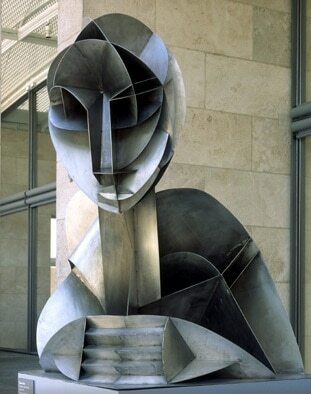 The term Constructivism was first coined by two of the movements leading artists, Naum Gabo and Antoine Pevsner. The Constructivist art movement was very much intertwined with the political situation in Russia at that time. The Bolshevic Government’s Commissariat of Enlightenment effectively set out the basis for teaching of the new movement. Naum Gabo commented that the teaching at the Institute of Artistic Culture in Moscow at that time was more concerned with political ideas than creating art. The theory and practice of Constructivism were worked out in a series of debates at the Institute of Artistic Culture in the early 1920s by the First Working Group of Constructivists. The original chairman of this group was Wassily Kandinsky, but he was ousted for his interest in mysticism. The first definition of Constructivism concerned the combination of material properties with spatial presence. The first Constructivist art consisted of three dimensional constructions, but Constructivism would later extend to two dimensional art such as graphic arts posters and books. 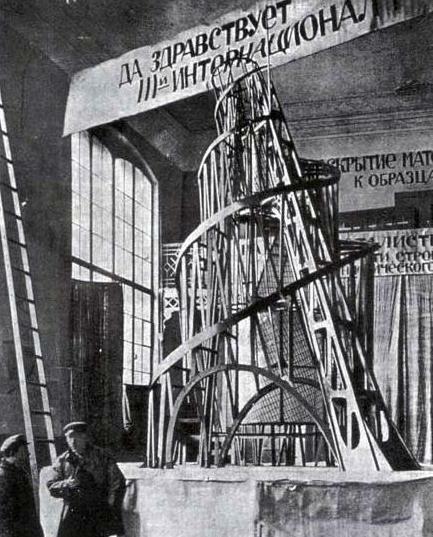 Some of the main Constructivist artists include Naum Gabo, Vladimir Tatlin, El Lissitzky, Alexander Rodchenko, Antoine Pevsner, Alexander Vesnin, Liubov Popova, Olga Rozanova, Alexandra Exter and Kasimir Malevich.